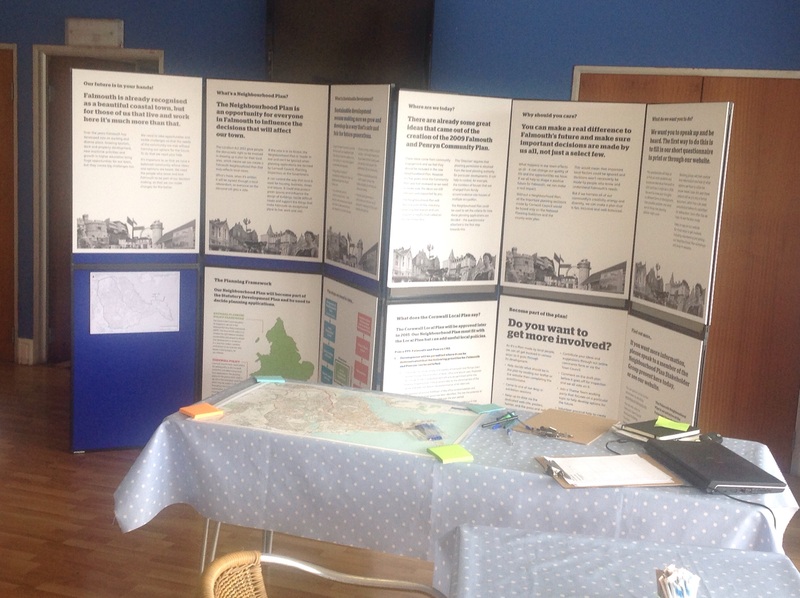 Busy time at Falmouth Neighbourhood Plan Drop-in session No1. 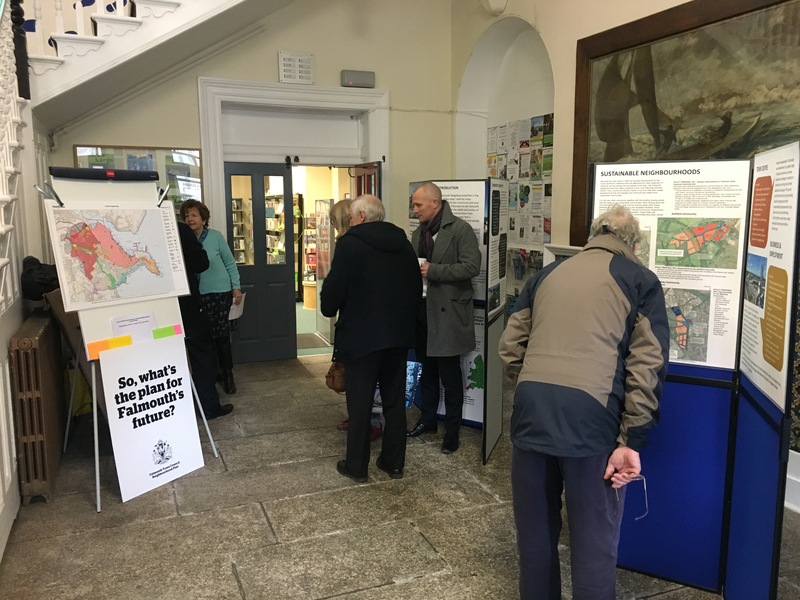 The first ‘drop-in’ session about the draft Falmouth Neighbourhood Plan was held on 24th January at the Municipal Buildings/Library and was well attended. Over fifty local people came in to chat with a member of the Neighbourhood Plan Team, each receiving ten minutes or more of guidance. Lots of very helpful comments and suggestions were made, that we can look at including in the submitted version of the Plan. 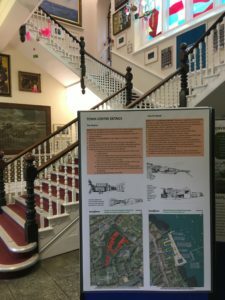 You can also see the Plan and make comments on-line or at Falmouth Library. Residents and team members discuss the draft Plan. Thirty people dropped into our session at Falmouth Watersports Centre on Wednesday 29th, and we distributed another 120 questionnaires. 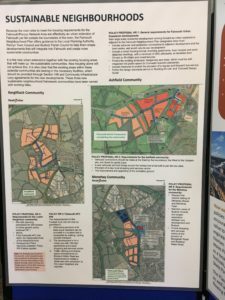 In the conversations with visitors much the same issues as discussed at the previous session were covered, but with more of a focus on the impacts of possible housing growth to the south of the town. There was also greater attention on the docks, marine industry and tourism. 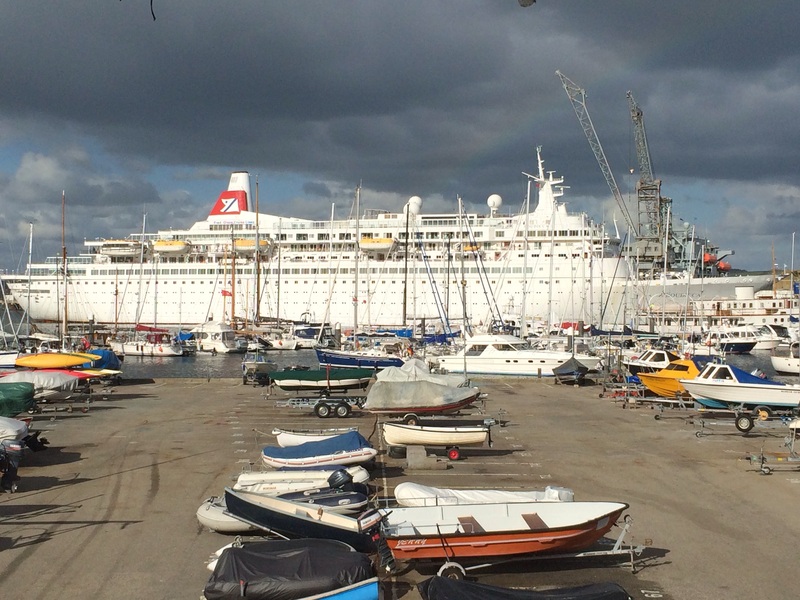 Later in the day we were aptly entertained by the sight of MV Boudicca, a Fred Olsen cruise ship, arriving. thanks to the team at the Watersports Centre, who were excellent hosts for the day. Have you got ideas about the future of Falmouth that could help us draw up the Neighbourhood Plan? Come to our Drop-in Session at the Watersports Centre, The Boat Park, Grove Place on 29th April, 10AM to 7.30pm to find out more, chat with a member of the team, and give us your ideas. We will have a small exhibition explaining the background to the Plan, details of the Cornwall Local Plan proposals for Falmouth, and the 2009 Community Plan, and other resources available to help. You will also be able to get help to complete the questionnaire. We held a drop-in session at the Library on 9th April. 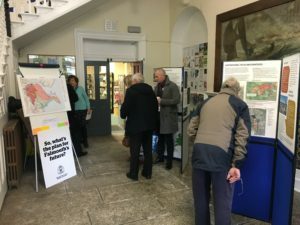 285 questionnaires were handed out and 80 people came in for a chat about Falmouth Neighbourhood Plan. Topics discussed were wide ranging. Several people referred to inadequacies of transportation and bus services, others to housing pressures and the need to maintain a good mix of housing types to preserve the community balance. Town-centre traffic featured several times, as did the view that Falmouth could make more of its waterfront to strengthen its economy and provide leisure opportunities for residents. 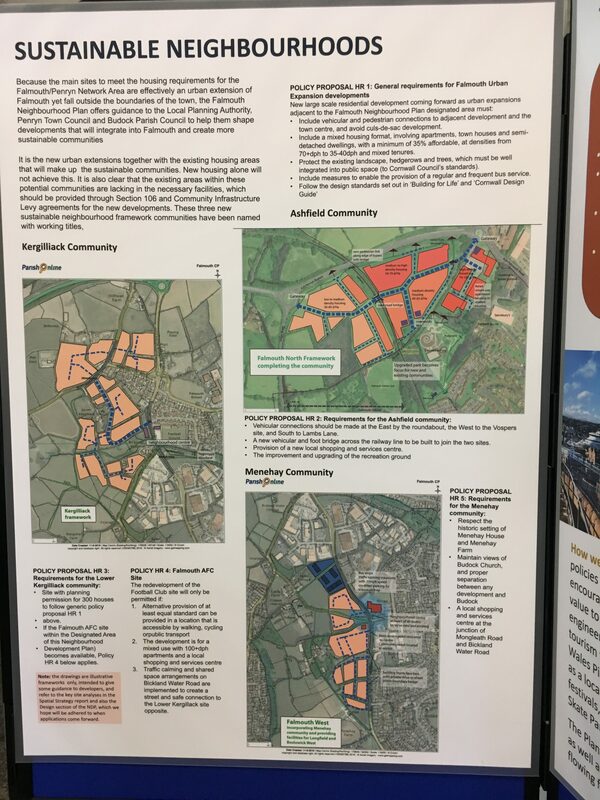 Many of the visitors thought that a Neighbourhood Plan made and approved by the local community would help the local planning authority to make better decisions on planning applications in the area. Now we are looking forward to the next drop-in event on 29th April at the Watersports Centre, Grove Place.